We congratulate you on your upcoming marriage. Should a destination wedding be in your horizon, we warmly invite you to consider Sheraton Hacienda del Mar Golf & Spa Resort, Los Cabos as an exceptional hosting site. 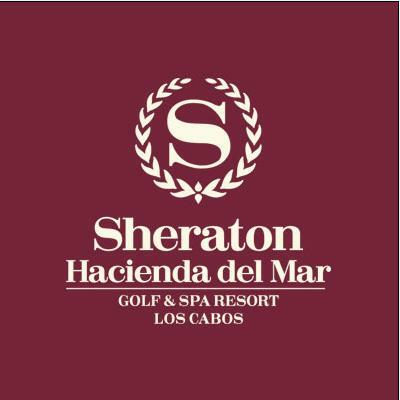 From a small intimate wedding on the beach to a cocktail party for over 1000 guests in our Hacienda Ballroom, Sheraton Hacienda del Mar Golf & Spa Resort, Los Cabos offers the highest level of service and attention to make your wedding events memorable. Wedding receptions and ceremonies can be held in breathtaking beachfront areas including our garden gazebo and two 5-Diamond award winning restaurants. 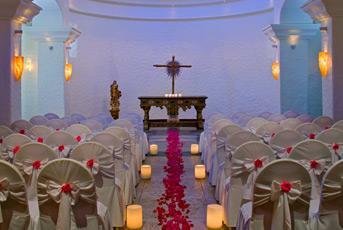 With an onsite colonial chapel, exquisitely appointed ballrooms and the long, sandy beach of the Sea of Cortez, the options are plentiful. They boost over 90 wedding ceremonies and receptions annually with available group rates. For additional information please contact Viviana Alfaro, Wedding Sales Manager, Viviana.Alfaro@Sheraton.com. Paradise awaits you in Los Cabos.